The Mizel Museum, in partnership with Paul Docktor, M.D. and the Holocaust Awareness Institute at the University of Denver, present a new exhibit in its rotating gallery entitled Abide, a series of photographic portraits of local Holocaust survivors by DU photographer Wayne Armstrong. When covering events for the Holocaust Awareness Institute, Armstrong noticed a decline in survivor attendance and felt the need to capture as many of them as possible. Each of the survivors has a story to tell, one that makes important connections between the past and present, teaching timeless lessons about resilience, courage, human dignity and living without hatred. 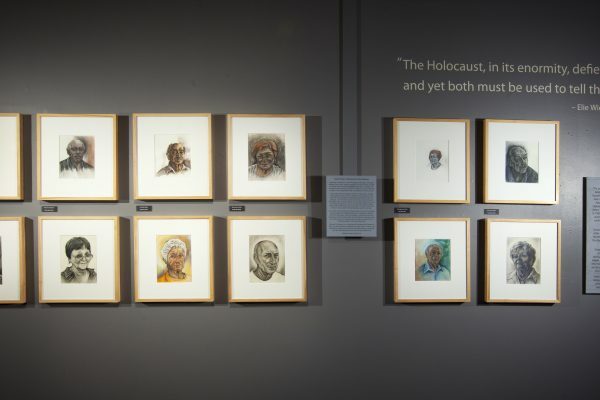 Armstrong’s conceptual style and staged perspective yield a series of survivor portraits that is fresh and uncommon, bringing their stories to life and educating visitors on the importance of combating hatred and bigotry in the world. Exhibit is included with regular museum admission, by appointment only. Please call 720-785-7300 or details@mizelmuseum.org to schedule.